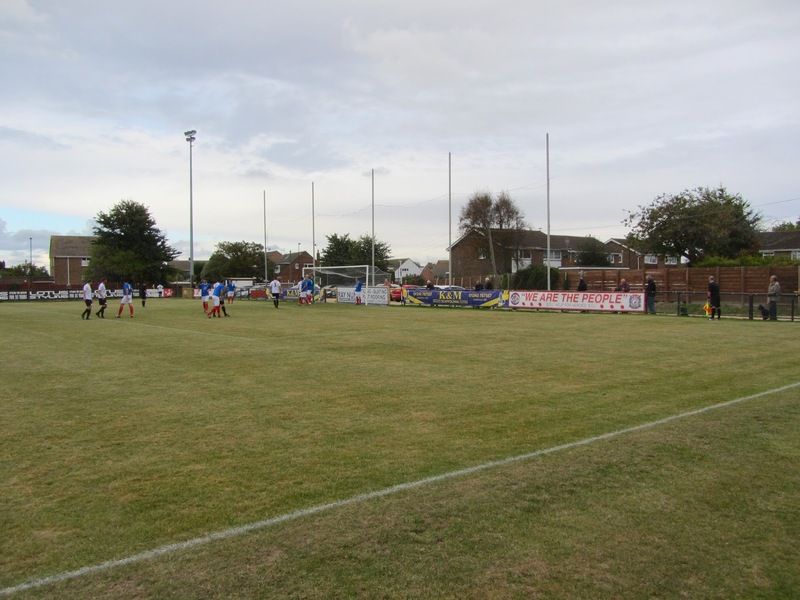 My nineteenth ground of 2016 was on Saturday 15th October at Nyetimber Lane in Pagham, West Sussex. 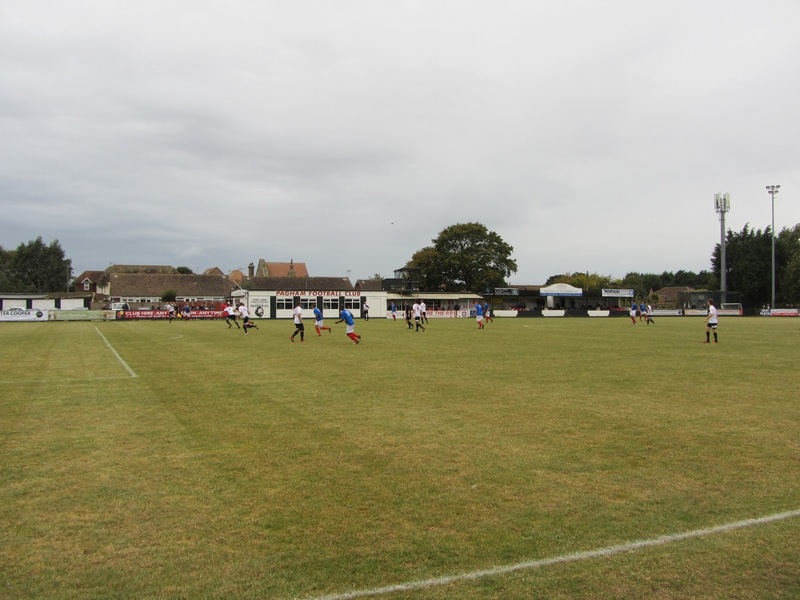 The match was Pagham vs. Littlehampton Town in the Southern Combination League Premier Division. Nyetimber Lane is in a residential setting with houses to the north, south and east of the ground. 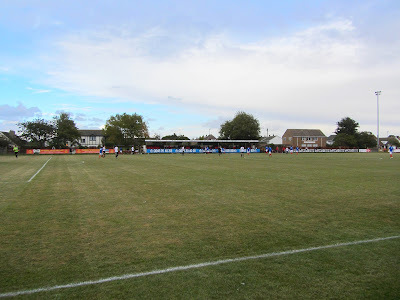 Bordering the western side of the ground is Pagham Cricket Club which was in place before being joined by the football club in 1950. The nearest railway station is Bognor Regis three miles east of the ground. When you arrive at the entrance in the north-east corner you are greeted by a car park directly behind the eastern goal. There is a thin strip of concrete directly behind the goal and netting to protect the cars parked behind it. 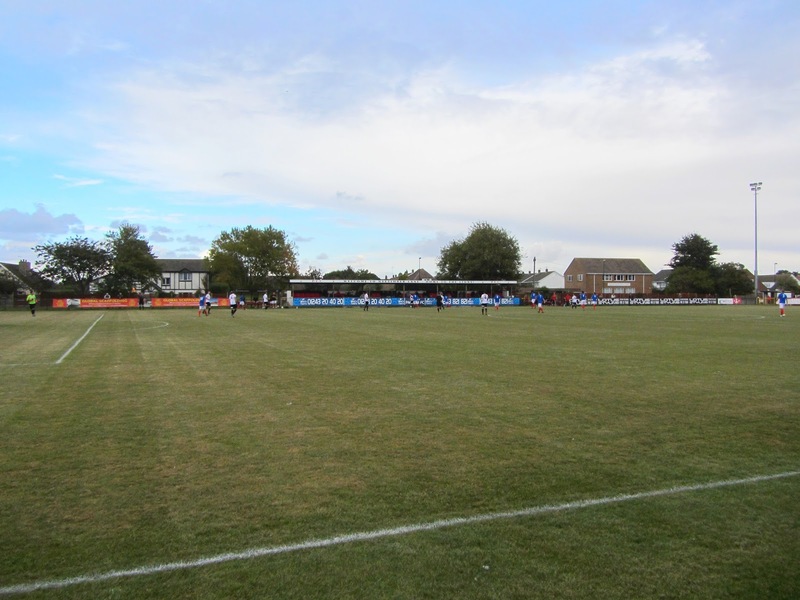 This car park extends round to the southern side of the ground as well before reaching an outside eating area with tables and picnic benches which links to a snack bar which is part of a clubhouse which contains a bar and inside seating. Attached to this is the players dressing room as well as a covered viewing section which has a TV gantry on top of it. The adjoined main stand then provides 102 seats and there is finally room for a small hard standing area towards the western end of the ground. The area behind the western goal is mostly uncovered standing though there is a covered area of scaffolding directly behind the goal. The north side is mostly uncovered standing though the North Terrace Stand located either side of the half-way line has another 102 seats under cover. The two dugouts are either side of this stand. It was mostly Pagham in the early going but Littlehampton defended in numbers and restricted the hosts to a couple of bundled shots just wide of the post. The visitors were happy to sit back and launch occasional counter attacks and it was from one of these that they took the lead. Just a couple of minutes before the break the ball was put out right wide to Ben Gray who beat his man before curling a super effort into the top corner from 20 yards. This lead did not last long though as within minutes of the restart Pagham restored parity - it happened when an attempted clearance ricocheted unkindly and and played in Scott Muran to slot the ball into the bottom corner from 15 yards. The home side got their noses in front in the 66th minute - the ball was played to Muran on the edge of the box and out of nowhere he spun and drilled a shot into the far corner. Things got worse for Littlehampton in the 71st minute when a coming together between defender Dan Cox and Pagham attacker Callen Overton resulted in a penalty and a red card for Cox. Muran powered the penalty straight down the middle to complete his 19 minute hat-trick. 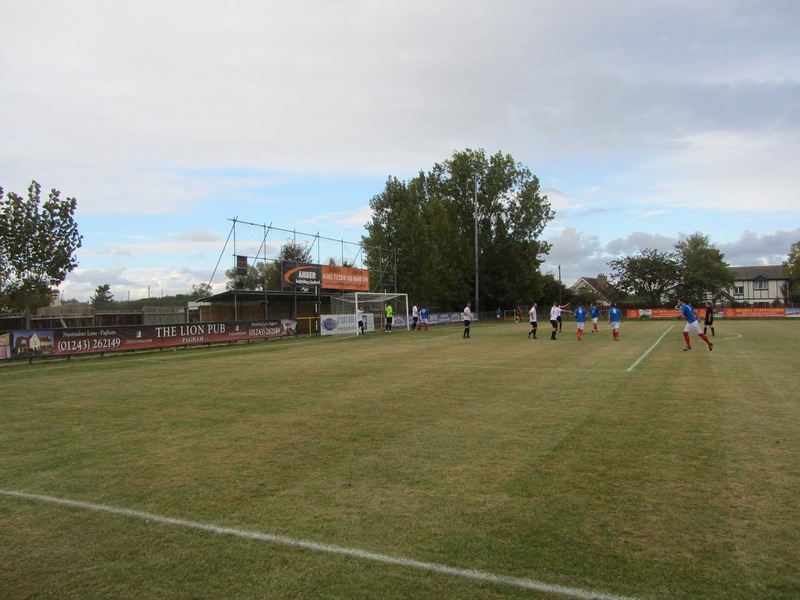 In the 78th minute Pagham were reduced to ten men when Lloyd Rowlatt picked up a second booking for bringing down Michael Asare as he tried to launch a counter attack. This gave the away side a bit more encouragement to attack but they were undone for the final time in the 91st minute when Overton slipped in Keiron Pamment who who dodged a tackle and rolled the ball into the net.